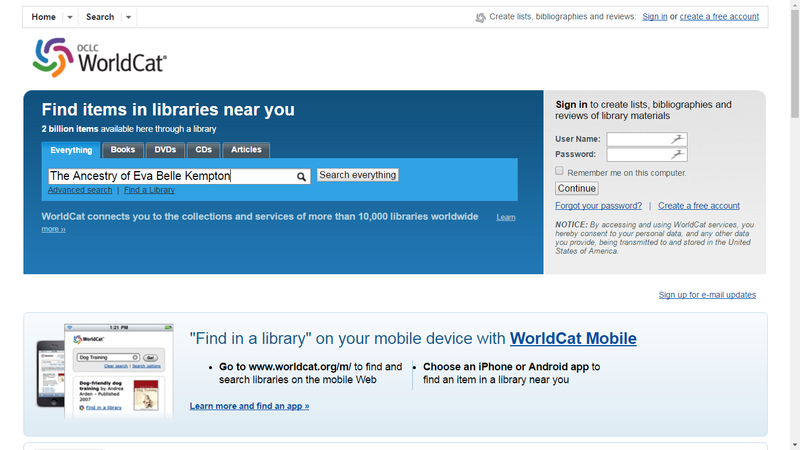 This week's Tuesday's Tip is: Use WorldCat.org to find the nearest repository for a specific book. Dean Crawford Smith and Melinde Lutz Sanborn, The Ancestry of Eva Belle Kempton, 1878-1908 (Boston : New England Historic Genealogical Society, 1996). 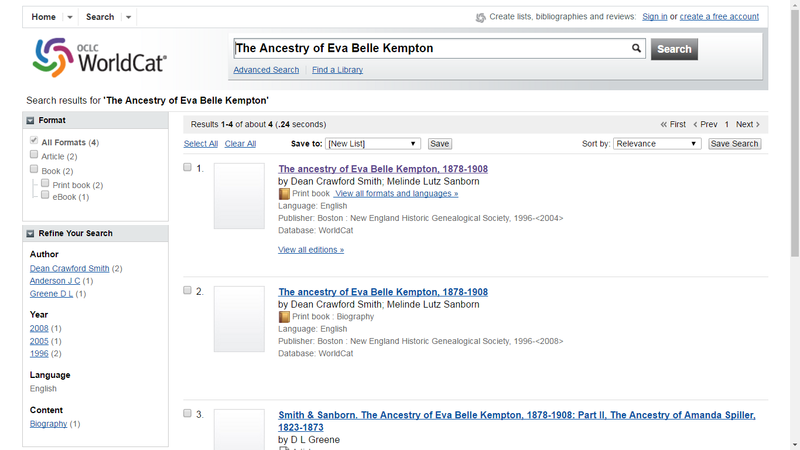 There are five pages, about 29 entries, on the list. 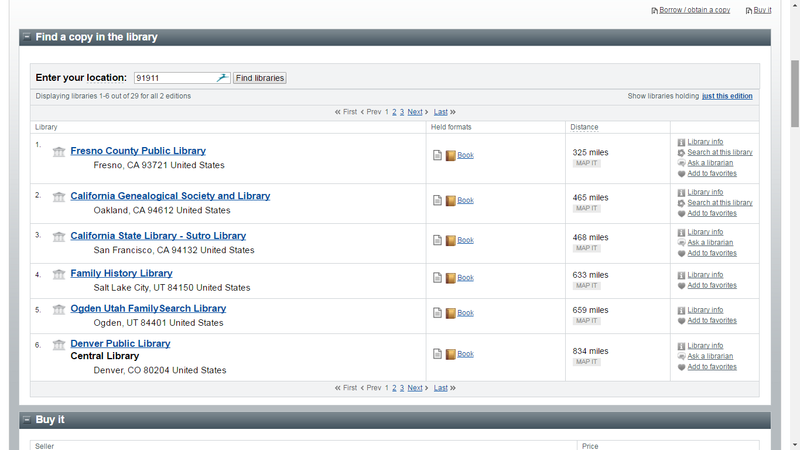 The closest repository to me is Fresno County Public Library, about 325 miles away. 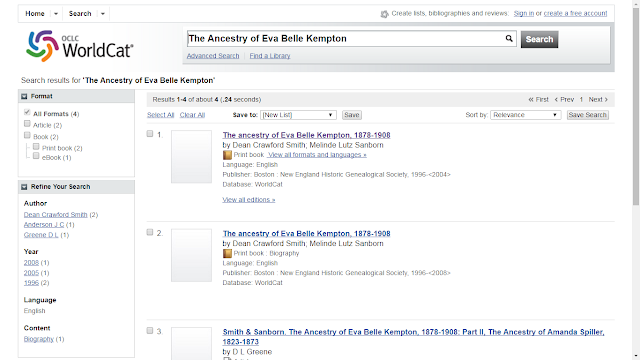 I think I read it at the Family History Library in Salt Lake City many years ago. 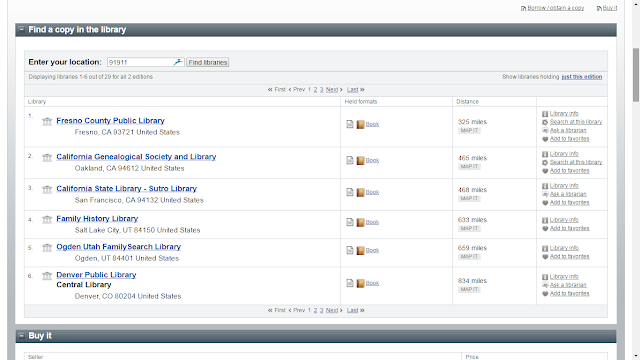 I hope my reader is close to one of the listed repositories. 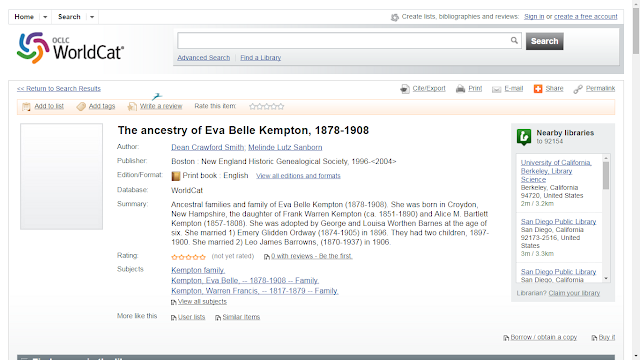 Have you used WorldCat.org to find repositories with genealogy books that you want to read? 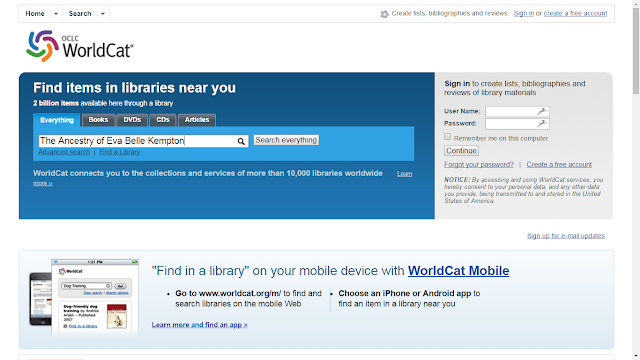 Also, Worldcat can provide all of the information you should need to identify a book for Interlibrary loan.